Merck Specialty Chemicals – Laboratory Chemicals, Glassware, Imported Chemicals, Testing Kits, etc. 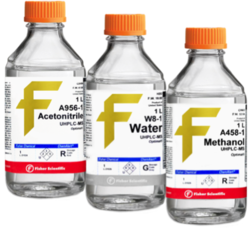 Fisher Scientific – Qualigens Brand, Lab Chemicals, Glassware, Testing Kits, etc. Rankem – Ranbaxy Laboratory Chemicals. Sdfl Chemicals - Laboratory Chemicals. 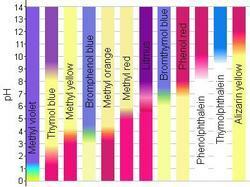 Nice Chemicals – Laboratory Chemicals. 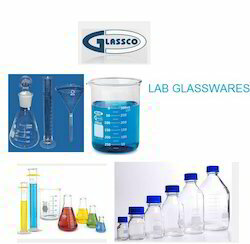 Hi-media Laboratory – Lab Chemicals, Fine Chemicals, Culture & Media Chemicals, Kits, Instruments etc. Micro Master Laboratory-culture & Media Chemicals, Kits. Sigma-aldrich, tci, Across, Merck – Imported And Rare Chemicals. one of the major developments in microbiology was robert koch's use of a solid culture medium on which bacteria would grow. Bacteria must meet certain nutritional requirements in order to grow. culture media bases or raw materials are the basic ingredients of any culture media manufactured and supplied by himedia. These raw materials are manufactured captively to specified quality performance standards, antimicrobial susceptibility testing of bacterial and fungal isolates is a common and important technique in most clinical laboratories. The results of these tests are used for selection of the most appropriate antimicrobial agent(s) for treatment against the infectious organisms. bacteriological identification is of utmost importance when one is dealing with bacteria associated with infections. The identification cannot be done solely on the basis of morphological colony characteristic. Hypersil is one of the most robust, reproducible and reliable HPLC columns available whether you use classical Hypersil columns including ODS, Hypersil BDS base deactivated columns or are looking for something new, we have a complete product line of HPLC columns to meet your needs. 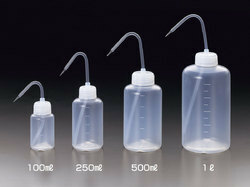 Our organization is foremost provider of Plastic Wash Bottle to our clients. Experts for production of this have utilized plastic. It can be washed quite easily. It has accurate markings and is offered in different lengths. Quality controllers before delivery phase do rigorous inspection of this product. 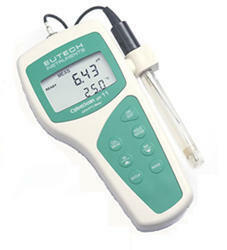 It is widely used in doing analysis in laboratories. Moreover, we are offering this at reasonable price. 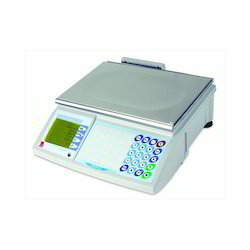 Laboratory Balances offered by us are easy to clean, precise as well as simple to usage in given laboratory environment. Being simple in set up, these come with spill-resistant housing and are made available in different model options as per the end applications these are used in. 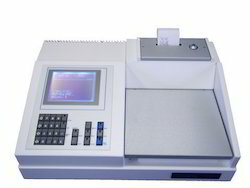 The range includes Physical balance, Chemical balance, Infrared moisture balance, Electronic top loading balance and Electronic platform balance, Digital Weight Indicators, General Purpose Bench Scales and Floor Scales, Moisture Analyzers / Balances, Portable & Compact Scales, Precision Balances, Triple Beam Balances & Mechanical Scales and others. These are made available in standard specifications including capacity of 0.1 gm to 3000 gm, pan size of 174 x 143 mm, ACC of 0.1 GM, automatic calibration, display comprising LCD with back-light and power supply coming with adaptor and rechargeable battery. CAPACITY: 0.1 gm to 3000 gm. Pan size: 174 x 143 mm. DISPLAY: Lcd With Back- Light. POWER SUPPLY: Adaptor As Well As Rechargeable Battery. The water distillate obtained from Quartz Single Distillation Apparatus is better compare with water distillate obtained from other types/method of distillation apparatus. This apparatus can be used for Acids. Compact design, Portable model and very easy to handle / shift. The unit has a boiler portion made of High Purity Electronic Grade Transparent Quartz. The unit is mounted on a sturdy stand (Panel box) which also has the boiler and condenser clamps. A bottom vent is provided in bottom boiler for general cleaning and maintenance. The main constituent of Quartz is SiO2 >99.9%, which makes the apparatus highly resistant to any Thermal shock, devitrification and resistant to water and acids. The electrical heaters are so designed, they do not come into contact with water, because they are embedded inside a quartz tube, hence nullifying the possibility of metal contamination by the heaters. The given volume of water in the boiler during the Distillation process is very less, resulting in low heat loss, hence power is saved. The distillate obtained from this apparatus is PYROGEN FREE, it is also free from metal ions. The water distillate obtained from quartz double distillation apparatus is beyond comparison with water distillate obtained from any other types / method of distillation. Compact design, with all contact parts made of high quality, pure Electronic Grade transparent Quartz only. The main constituent of Quartz is SiO2 >99.9% which make the apparatus highly resistant to any thermal shock, devitrification and resistant to water and acids. The electrical heaters are so designed, they do not come into contact with water because they are embedded inside a Quartz tube, hence nullifying the possibility of metal contamination by the heaters. The given Volume of water in the Boiler during the distillation process is very Less, resulting in low heat loss, hence power is saved. The distillate obtained from this apparatus is PYROGEN FREE. It is also FREE from metal ions. Spiral Heater has better life span that tubular sheathed heater. By focusing on demands of our respected clients spread throughout the country, we are offering Single Beam Spectrophotometer which has modular design and is able to give quick and accurate estimation of concentration of any concentration. It has excellent scanning property and is mainly useful in medical science and clinical analysis. The offered spectrophotometers are inspected on numerous parameters so as to deliver a defect free range. It is able to give excellent performance for long time period. 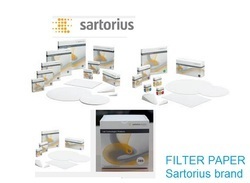 Filtration is commonly the mechanical or physical operation which is used for the separation of solids from fluids (liquids or gases) by interposing a medium through which only the fluid can pass. The fluid that passes through is called the filtrate. Oversize solids in the fluid are retained, but the separation is not complete; solids will be contaminated with some fluid and filtrate will contain fine particles (depending on the pore size and filter thickness). Filtration is also used to describe some biological processes, especially in water treatmentand sewage treatment in which undesirable constituents are removed by absorption into a biological film grown on or in the filter medium as in slow sand filtration. We hold specialization in manufacturing, exporting, importing, trading and supplying a comprehensive assortment of Laboratory Grade Solvents. This solvent is extensively added to paints and nail polish removers. Offered solvent is known for its effective performance and stability under various environmental conditions. This solvent is formulated from high-grade inputs for maintaining sync with the industry standards. With the continuous support of our adept and seasoned professionals, we are devoted towards offering Sodium Hydroxide. It is a white solid and highly caustic metallic base and alkali salt which is available in pellets, flakes, granules. Offered sodium hydroxide is an essential ingredient in manufacturing of Sodium Stearate, Sodium Bicarbonate, and various other sodium salts. 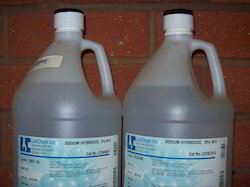 This sodium hydroxide is used in manufacturing of pulp, paper soaps, textiles, detergents and many other daily use items. ( Loba Chemie ) Laboratory Reagents & Fine Chemicals. 1. Fill a water sample of approx. 5 ml into a cuvette. This is the blank. 2. Fill a 10 ml water sample into another cuvette. 3. Add 1 Hard check tablet, crush it and after having closed the cuvette mix until everything is dissolved. 4. Wait 5 minutes until the reaction time is over. 5. Switch the Spectro 3 Photometer on with any of the keys. 6. Use the arrow keys to select the method “Hardness ges p“. 7. Perform the blank test with the cuvette prepared ACC. to point 1. 8. Take the blank out of the cuvette slot after having performed the blank calibration. 9. Clean the outside of the cuvette containing the sample with a soft tissue and place it in the cuvette slot, close the lid and press the mg/L key. 10.In the display appears the result in German degree of hardness.